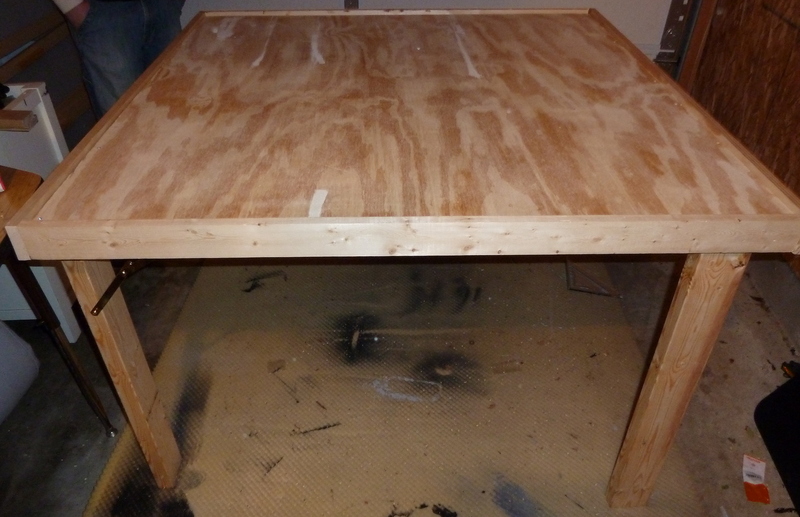 The design for this table called for a 4’x4′ lipped table with folding legs. I decided against making the table top fold this time. 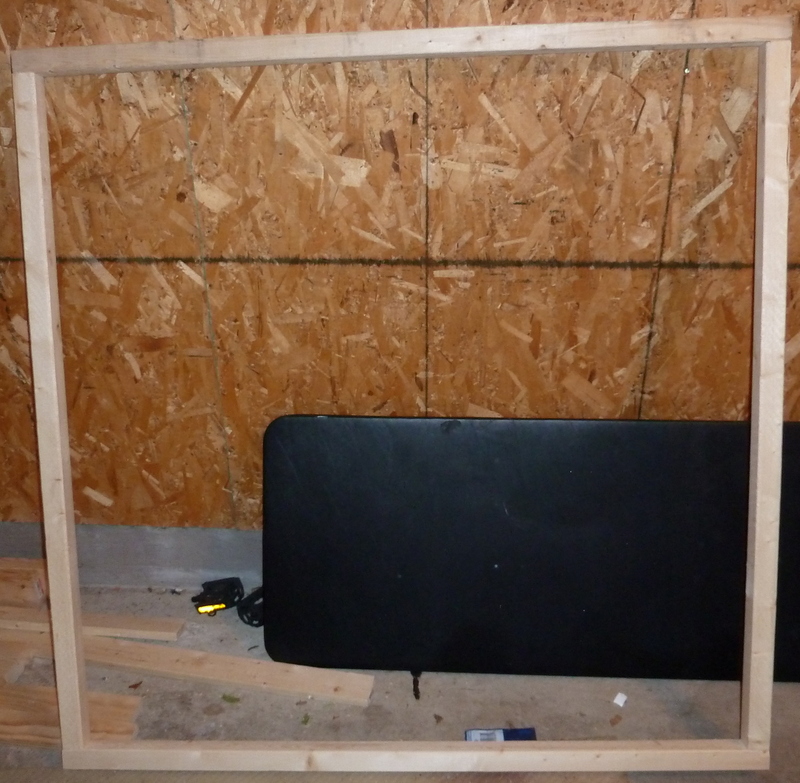 I wanted a lighter weight to this as well, so I cut the frame down to 2″x2″ and the top down to 15/32″ plywood. The legs were originally planned to be 3″x3″ squares but they seemed extra large and heavy and the cost was about 15 times more than using 2″x4″ legs. I also decided this table needed to be much shorter so it was planned to be about 30″ tall instead of the 44″ of the other table. Of course, I took plenty of pictures of this new table. 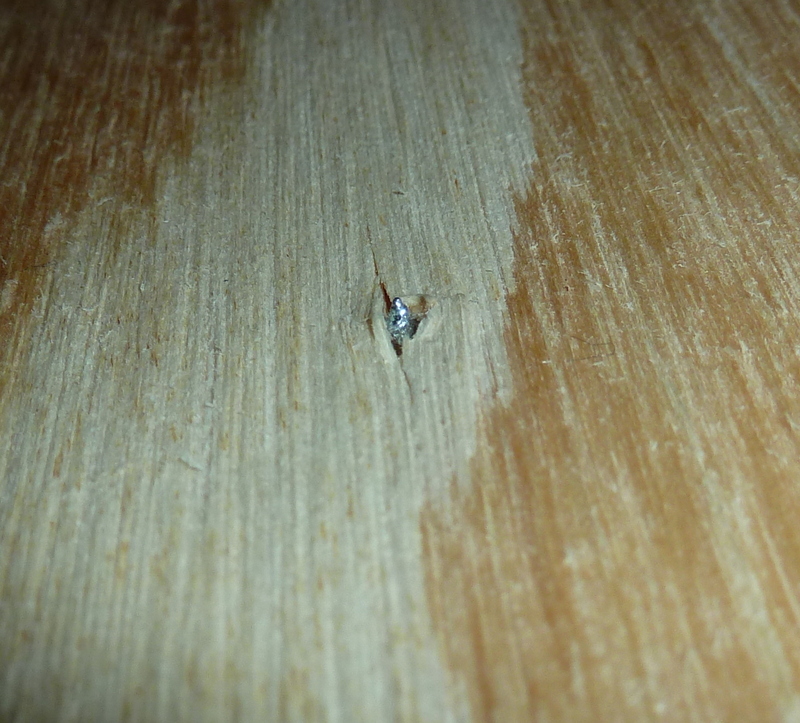 This is the lumber used for the table. 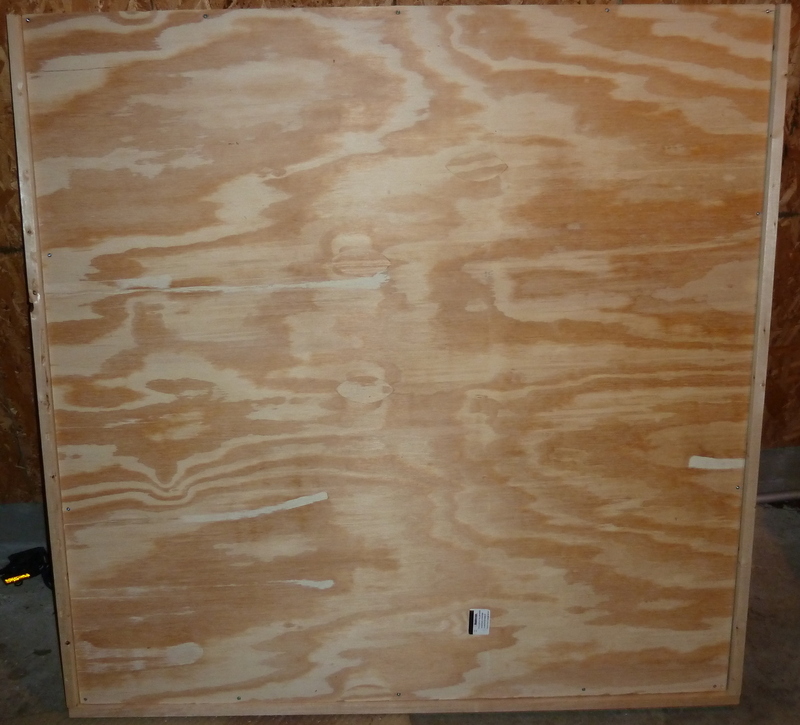 One of the things I wanted to do with this table was allow for it to be used outside of just a 4’x4′ table. So I decided that one edge of the lip would not be screwed in, but instead bolted with simple wing nuts so it could be removed easily. 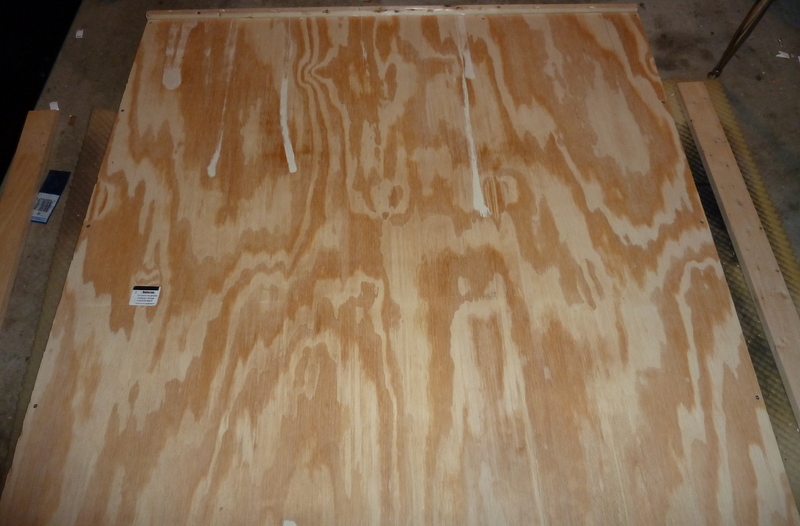 This way I can make a matching table when I have more space and put the two together for a larger table. 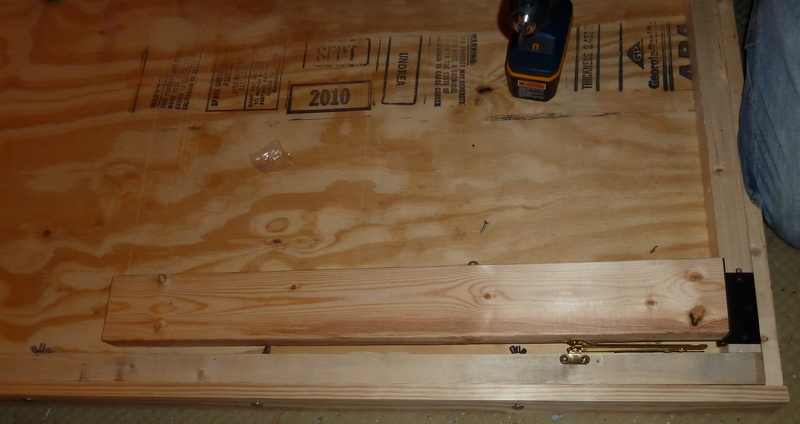 The plan for the legs was to have them hinged to the table top from the bottom with braces to hold them in place, exactly like the other table. 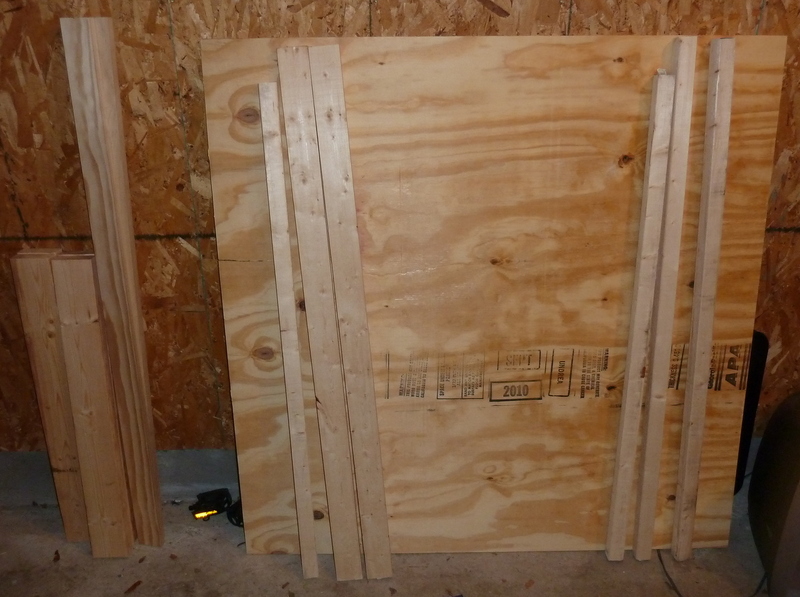 However, I decided to go with the thinner board for the surface this time. 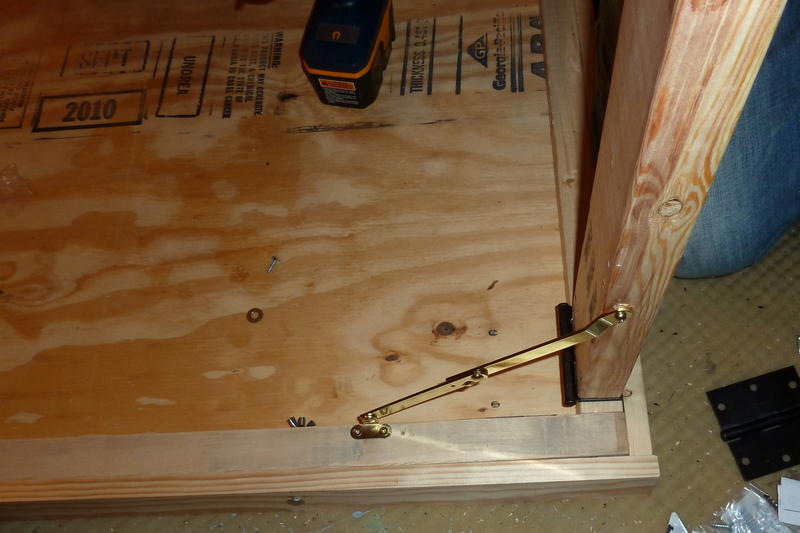 Unfortunately, this posed some problems when trying to screw the hinges in. 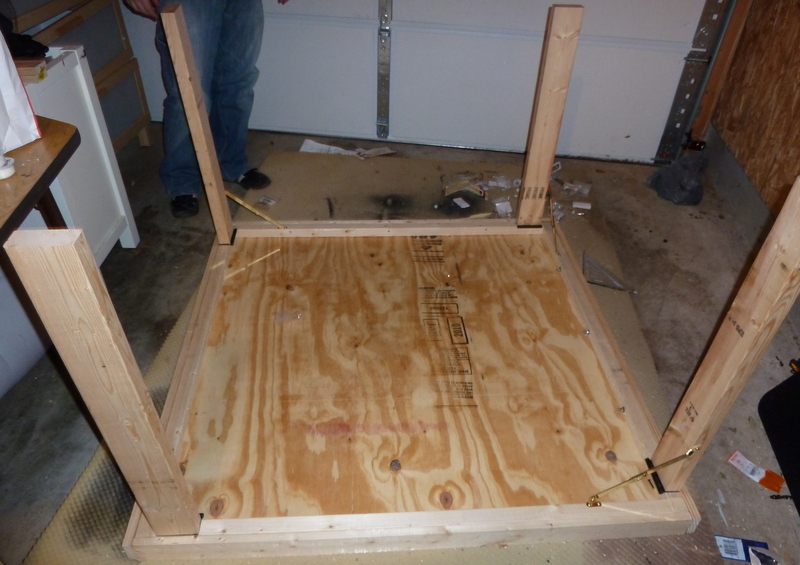 After a lot of time trying to figure out a re-design for the legs we settled with the legs being attached to the frame itself from underneath instead of to the table top. The Moment of Truth... All Four Legs Attached! The table is a success. It’s not quite finished yet, of course. I want to actually paint this one up. Some time soon I will be painting the full table black. Eventually I plan to have it decorated up with a few game logos and the new Tabletop Geeks logo that is being worked on. I also need to start on making actual terrain blocks, though figuring out where to store them in the new apartment is going to be another obstacle I need to work out. 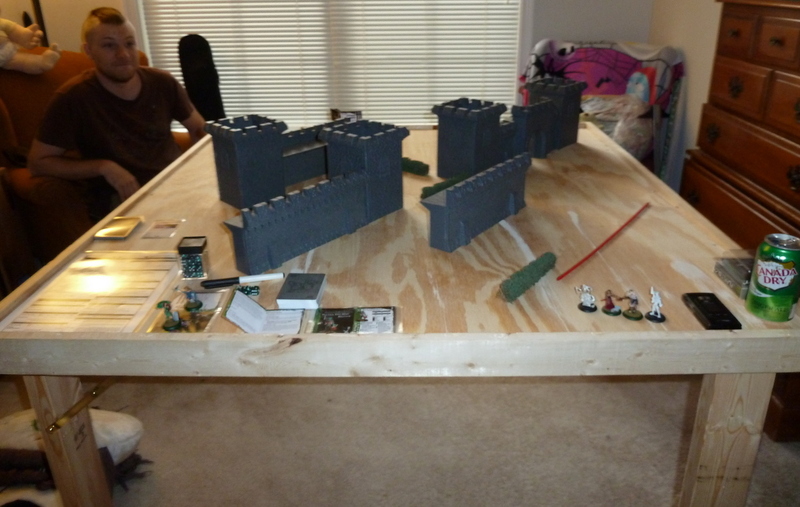 Keep an eye out for updates to the table and more painting or terrain progress. This entry was posted	on Monday, November 1st, 2010 at 7:05 pm	and is filed under Table. You can follow any responses to this entry through the RSS 2.0 feed. You can leave a response, or trackback from your own site. I like how yours has legs though that fold up though. Thats a very snazzy design! Powered by WordPress v 5.1.1. Page in 2.110 seconds.